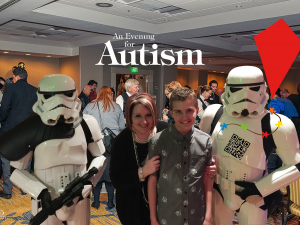 An Evening for Autism, is a charity gala that has been organized to raise money and awareness for ARRO (Autism Research and Resources of Oregon), a fantastic local non-profit organization that helps families affected by Autism. ARRO provides resourses directly through their community center located on the west side of town. Hosted at the Oregon Historical Society the event will be catered by The Heathman with light hors d’oeuvres and complimentary beer (provided by Deschutes Brewery) and local wines. Cocktails will be also be available at the cash bar. Entertainment for the evening will feature a silent auction, wine raffle and a performance by national recording artist Shawn Mullins! Be sure to catch this fantastic evening. We’re looking forward to seeing you all there to raise funds and awareness for this very important cause! !